Vanessa Strickland - Actor/Artist/Puppeteer: 5 Stars for Pinocchio! "If the purpose of The Fun Company at the Maryland Ensemble Theatre is to create fun on stage then they got it right in their production of The Commedia Pinocchio. The talented cast turns this production – geared for younger audiences – into pure entertainment for the entire family. From the moment the show begins – the audiences sees that the entire ensemble is having a great time and it makes the experience even more enjoyable." 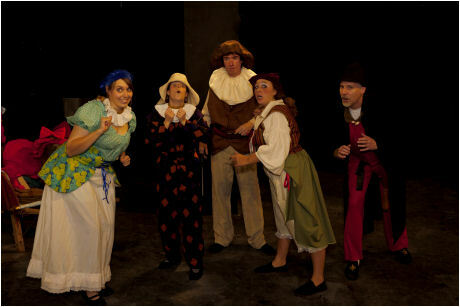 The Commedia Pinocchio only has 3 performances left! We run this Saturday and Sunday at 2pm and closes next Saturday at 2pm, so order your tickets through the box office: 301-694-4744 or through the MET website!